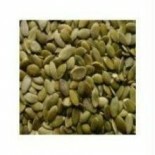 Attributes: Kosher, Natural or Organic IngredientsIngredients: Raw pumpkin seeds.Nutritions: Calcium(2), Calories(170), Cholesterol(0), Dietaryfiber(2), Fromfat(130), Iron(15), Protein(9), Saturatedfat(2.5), Servingscontainer(378 (per 25 lb bag)), Servingsize(3 tbsp (30g)), Sodium(0), Sugars(0), Tot.. 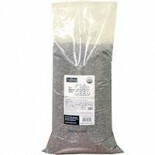 Attributes: Natural or Organic IngredientsIngredients: Raw sunflower seeds.Nutritions: Calcium(2), Calories(181), Cholesterol(0), Dietaryfiber(3), Fromfat(140), Iron(10), Protein(6), Saturatedfat(2), Servingscontainer(366 (per 25 lb bag)), Servingsize(1/4 cup (31g)), Sodium(0), Sugars(1), Totalcarbs.. 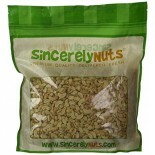 Attributes: Gluten Free, Kosher, Natural or Organic IngredientsIngredients: Whole grain gluten free rolled oats, raisins, sunflower seeds, dried cranberries (cranberries, sugar, sunflower oil), dried apples, brown rice crisps (rice flour, rice bran, honey, calcuim carbonate), dry roasted soy beans, .. Attributes: Dairy Free, Natural or Organic IngredientsIngredients: Whole Ground Golden Flaxseed.Nutritions: Calcium(2), Calories(60), Cholesterol(0), Dietaryfiber(4), Fromfat(40), Iron(6), Protein(3), Saturatedfat(0), Servingscontainer(N/A), Servingsize(2 Tbsp. (13g)), Sodium(0), Sugars(0), Totalcar.. 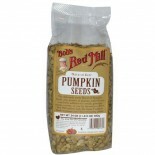 Attributes: Dairy Free, Natural or Organic Ingredients, Vegan, Wheat Free, Yeast FreeIngredients: Fresh Roasted Pumpkin Seeds, Sea Salt. .. Attributes: Kosher, Natural or Organic IngredientsIngredients: almonds, cranberries, blueberries, cherries, pecans, strawberries, apple juice concentrate, non-gmo cane sugar, sunflower oil. 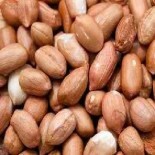 contains: almonds and pecans May contain peanuts, egg, wheat, soy milk and other tree nuts.Nutritions: Calci.. 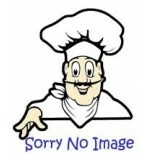 Attributes: Kosher, Natural or Organic Ingredients .. Attributes: Natural or Organic IngredientsIngredients: Peantus, corn, unbleached wheat flour, vegetable powder(onion, garlic, tomato, green bell peper, beet) spices, corn flour, salt, sesame seeds, bulgur wheat, potato flour, vegetable oil (soybean, canola, peanut and/or corn) torula yeast, red pepp.. 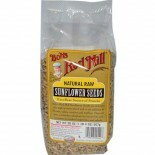 Attributes: Kosher, Natural or Organic IngredientsIngredients: Almonds, cashews, raisins, sunflower kernels, pepitas, bragg liquid aminos (soybeans, purified water), non-hydrogenated canola oil, salt, red pepper, cellulose fiber, paprika, chili pepper, natural flavoring, jalapeno pepper, spices, tor.. Attributes: Foodservice (Bulk Pack), Natural or Organic IngredientsIngredients: Flax seeds.Nutritions: Calcium(4), Calories(41), Cholesterol(N/A), Dietaryfiber(4), Fromfat(36), Iron(N/A), Protein(1), Saturatedfat(4), Servingscontainer(N/A), Servingsize(2 Tbsp), Sodium(45), Sugars(2), Totalcarbs(15),.. 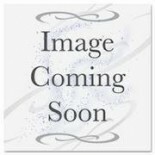 Attributes: Natural or Organic Ingredients, Non-GMO Project Verified.. 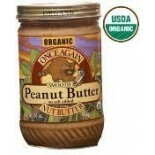 Attributes: Natural or Organic IngredientsIngredients: Honey roast mixed nuts (peanuts, almonds, pecans, cashews, safflower and/or sunflower oil, sucrose, wheat starch, honey, calcium stearate, soy lecithin, maltodextrin, xanthan gum, salt).Nutritions: Calcium(2), Calories(150), Cholesterol(0), Diet.. 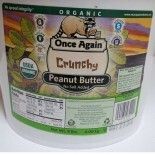 Attributes: Dairy Free, Fair Trade, Gluten Free, Kosher, Natural or Organic Ingredients, Specialty Product, Vegan, Wheat FreeIngredients: Organic buckwheat sprouts, organic currants, organic coconut, Organic coconut palm sugar, raw brown rice bran & germ (grain free), organic coconut nectar, organic.. Attributes: Dairy Free, Fair Trade, Gluten Free, Kosher, Natural or Organic Ingredients, Specialty Product, Vegan, Wheat FreeIngredients: Organic Buckwheat Sprouts, Organic Coconut, Organic Coconut Palm Sugar, Organic Sultanas, Organic Banana, Organic Sunflower Sprouts, Raw Brown Rice Bran & Germ (g.. Attributes: Dairy Free, Fair Trade, Gluten Free, Kosher, Natural or Organic Ingredients, Specialty Product, Vegan, Wheat FreeIngredients: Sprouted organic almonds, organic mango, organic raw cashews, organic goji berries, organic green raisins, organic sultanas, sprouted organic pumpkin seeds, organ.. 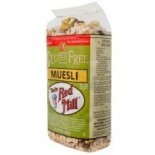 Attributes: Dairy Free, Fair Trade, Gluten Free, Kosher, Natural or Organic Ingredients, Specialty Product, Vegan, Wheat FreeIngredients: Sprouted organic pumpkin seeds, organic raw cashews, organic mulberries, organic green raisins, organic goji berries, organic goldenberries, organic currants, org.. Attributes: Dairy Free, Gluten Free, Kosher, Natural or Organic Ingredients, Non-GMO Project Verified , Vegan, Wheat Free, Yeast Free.. 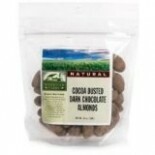 Attributes: Contains Refined Sugars, Foodservice (Bulk Pack), Natural or Organic Ingredients, Wheat FreeIngredients: Sundrops (Milk Chocolate [Evaporated Cane Juice, Unsweetened Chocolate Cocoa Butter, Whole Milk Powder, Soya Lecithin, Natural Vanilla], Naturally Milled Sugar, Whole Rice Solids, Col.. 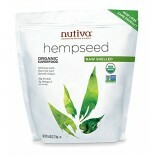 Attributes: Kosher, Natural or Organic Ingredients, Non-GMO Project VerifiedIngredients: Raw certified organic shelled hempseeds.Nutritions: Calcium(N/A), Calories(170), Cholesterol(0), Dietaryfiber(1), Fromfat(130), Iron(15), Protein(11), Saturatedfat(1), Servingscontainer(about 76), Servingsize(3 .. 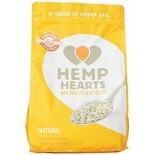 Attributes: Dairy Free, Gluten Free, Kosher, Low Carb, Low Salt / Low Sodium / Reduced Sodium, Natural or Organic Ingredients, Non-GMO Project Verified , Wheat FreeIngredients: Organic Chia Seeds.Nutritions: Calcium(8), Calories(60), Cholesterol(0), Dietaryfiber(5), Fromfat(25), Iron(6), Protein(3),.. Attributes: Foodservice (Bulk Pack), Natural or Organic IngredientsIngredients: Diced Almonds.Nutritions: Calcium(1), Calories(210), Cholesterol(0), Dietaryfiber(2), Fromfat(150), Iron(5), Protein(5), Saturatedfat(3), Servingscontainer(N/A), Servingsize(2 Tbsp (33g)), Sodium(25), Sugars(3), Totalcar.. 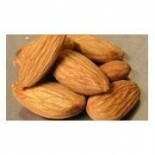 Attributes: Foodservice (Bulk Pack), Natural or Organic IngredientsIngredients: Almonds. Nutritions: Calcium(8), Calories(180), Cholesterol(0), Dietaryfiber(3), Fromfat(120), Iron(6), Protein(7), Saturatedfat(1), Servingscontainer(N/A), Servingsize(23 pieces (1 oz. )), Sodium(0), Sugars(1), Totalcarb.. 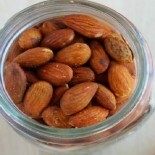 Attributes: Natural or Organic IngredientsIngredients: Almonds. .. 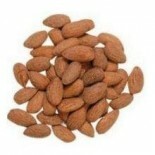 Attributes: Foodservice (Bulk Pack), Kosher, Natural or Organic IngredientsIngredients: Almonds. .. Attributes: Kosher, Low Salt / Low Sodium / Reduced Sodium, Natural or Organic IngredientsIngredients: Almonds and olive oil.Nutritions: Calcium(8), Calories(170), Cholesterol(0), Dietaryfiber(3), Fromfat(140), Iron(8), Protein(6), Saturatedfat(1), Servingscontainer(N/A), Servingsize(1 oz (28g)), So.. 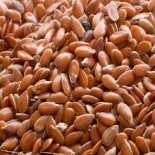 Attributes: Foodservice (Bulk Pack), Kosher, Natural or Organic IngredientsIngredients: Organic almonds, dry roast, diced (pasteurized).Nutritions: Calcium(8), Calories(180), Cholesterol(0), Dietaryfiber(3), Fromfat(140), Iron(6), Protein(6), Saturatedfat(1), Servingscontainer(N/A), Servingsize(1/4 .. 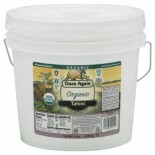 Attributes: Kosher, Natural or Organic IngredientsIngredients: Organic Almonds and Wheat Free Organic Tamari. Nutritions: Calcium(8), Calories(180), Cholesterol(0), Dietaryfiber(3), Fromfat(140), Iron(6), Protein(6), Saturatedfat(1), Servingscontainer(N/A), Servingsize(1/4 CUp (30g)), Sodium(80), S.. 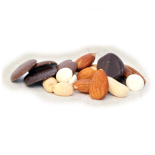 Attributes: Natural or Organic IngredientsIngredients: Dry roasted organic almonds.Nutritions: Calcium(8), Calories(178), Cholesterol(0), Dietaryfiber(3.3), Fromfat(140), Iron(6), Protein(6.3), Saturatedfat(1.2), Servingscontainer(N/A), Servingsize(1/4 cup), Sodium(1), Sugars(1.5), Totalcarbs(6.4), .. 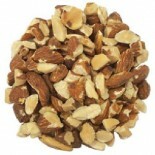 Attributes: Foodservice (Bulk Pack), Natural or Organic IngredientsIngredients: Almonds, raw. Nutritions: Calcium(8), Calories(180), Cholesterol(0), Dietaryfiber(3), Fromfat(120), Iron(6), Protein(7), Saturatedfat(1), Servingscontainer(N/A), Servingsize(1/4 cup), Sodium(0), Sugars(1), Totalcarbs(6),.. 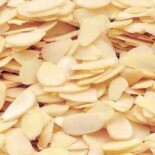 Attributes: Foodservice (Bulk Pack), Kosher, Natural or Organic IngredientsIngredients: Whole raw almonds. Nutritions: Calcium(8), Calories(180), Cholesterol(0), Dietaryfiber(3), Fromfat(120), Iron(6), Protein(7), Saturatedfat(1), Servingscontainer(N/A), Servingsize(1/4 cup), Sodium(0), Sugars(1), T.. 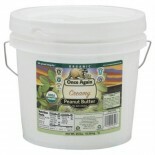 Attributes: Kosher, Natural or Organic IngredientsIngredients: Whole raw almonds. .. Attributes: Natural or Organic IngredientsNutritions: Calcium(N/A), Calories(N/A), Cholesterol(N/A), Dietaryfiber(N/A), Fromfat(N/A), Iron(N/A), Protein(N/A), Saturatedfat(N/A), Servingscontainer(N/A), Servingsize(N/A), Sodium(N/A), Sugars(N/A), Totalcarbs(N/A), Totalfat(N/A), Transfat(0), Vitamina(.. 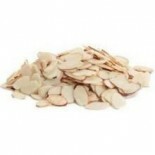 Attributes: Foodservice (Bulk Pack), Kosher, Natural or Organic IngredientsIngredients: Blanched almonds.Nutritions: Calcium(6), Calories(164), Cholesterol(0), Dietaryfiber(3), Fromfat(120), Iron(6), Protein(6), Saturatedfat(1), Servingscontainer(N/A), Servingsize(1 oz (28g)), Sodium(8), Sugars(1), .. Attributes: Kosher, Natural or Organic IngredientsIngredients: Almonds, olive oil, and sea salt.Nutritions: Calcium(8), Calories(170), Cholesterol(0), Dietaryfiber(3), Fromfat(140), Iron(8), Protein(6), Saturatedfat(1), Servingscontainer(N/A), Servingsize(1 oz ), Sodium(130), Sugars(1), Totalcarbs(5.. Attributes: Foodservice (Bulk Pack), Kosher, Natural or Organic IngredientsIngredients: California grown almonds, organic wheat free tamari soy sauce (water, organic soybeans, salt and organic alcohol).Nutritions: Calcium(6), Calories(150), Cholesterol(0), Dietaryfiber(3), Fromfat(120), Iron(6), Pro.. 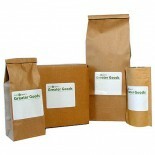 Attributes: Foodservice (Bulk Pack), Natural or Organic Ingredients.. 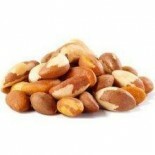 Attributes: Foodservice (Bulk Pack), Kosher, Natural or Organic IngredientsIngredients: Brazil Nuts (Imported).Nutritions: Calcium(6), Calories(230), Cholesterol(0), Dietaryfiber(2), Fromfat(210), Iron(6), Protein(4), Saturatedfat(6), Servingscontainer(N/A), Servingsize(1/4 cup (35g)), Sodium(0), Su.. 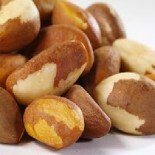 Attributes: Foodservice (Bulk Pack), Kosher, Natural or Organic IngredientsIngredients: Brazil Nuts.Nutritions: Calcium(6), Calories(210), Cholesterol(0), Dietaryfiber(2), Fromfat(183), Iron(6), Protein(4), Saturatedfat(2.5), Servingscontainer(N/A), Servingsize(about 6 pcs (30 g)), Sodium(0), Sugars.. Attributes: Foodservice (Bulk Pack), Kosher, Natural or Organic IngredientsIngredients: Organic Cashew.Nutritions: Calcium(2), Calories(170), Cholesterol(0), Dietaryfiber(1), Fromfat(130), Iron(10), Protein(5), Saturatedfat(3), Servingscontainer(N/A), Servingsize(1/4 cup (30g)), Sodium(0), Sugars(2).. 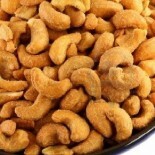 Attributes: Foodservice (Bulk Pack), Natural or Organic IngredientsIngredients: Cashews.Nutritions: Calcium(2), Calories(190), Cholesterol(0), Dietaryfiber(7), Fromfat(130), Iron(10), Protein(5), Saturatedfat(2.5), Servingscontainer(N/A), Servingsize(1/4 cup (30g)), Sodium(0), Sugars(2), Totalcarbs(.. Attributes: Kosher, Natural or Organic IngredientsIngredients: Organic Cashew piecesNutritions: Calcium(2), Calories(170), Cholesterol(0), Dietaryfiber(1), Fromfat(130), Iron(10), Protein(5), Saturatedfat(3), Servingscontainer(N/A), Servingsize(1/4 cup 30g), Sodium(0), Sugars(2), Totalcarbs(10), Tot.. 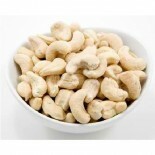 Attributes: Kosher, Natural or Organic IngredientsIngredients: Organic cashews, salt.Nutritions: Calcium(2), Calories(170), Cholesterol(0), Dietaryfiber(1), Fromfat(120), Iron(10), Protein(5), Saturatedfat(2), Servingscontainer(N/A), Servingsize(1/4 cup (30g)), Sodium(190), Sugars(2), Totalcarbs(9),.. 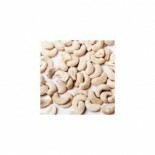 Attributes: Foodservice (Bulk Pack), Kosher, Natural or Organic IngredientsIngredients: Organic cashews, dry roasted and salted.Nutritions: Calcium(2), Calories(170), Cholesterol(0), Dietaryfiber(1), Fromfat(130), Iron(10), Protein(5), Saturatedfat(3), Servingscontainer(N/A), Servingsize(1/4 cup (30.. 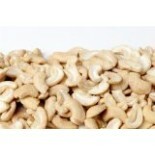 Attributes: Foodservice (Bulk Pack), Low Salt / Low Sodium / Reduced Sodium, Natural or Organic IngredientsIngredients: Cashews. Nutritions: Calcium(2), Calories(180), Cholesterol(0), Dietaryfiber(2), Fromfat(130), Iron(10), Protein(5), Saturatedfat(2), Servingscontainer(N/A), Servingsize(1/4 cup (3.. Attributes: Natural or Organic IngredientsNutritions: Calcium(2), Calories(190), Cholesterol(0), Dietaryfiber(7), Fromfat(134), Iron(10), Protein(5), Saturatedfat(3), Servingscontainer(N/A), Servingsize(1/4 cup (30g)), Sodium(0), Sugars(2), Totalcarbs(9), Totalfat(15), Transfat(N/A), Vitamina(0), Vi.. Attributes: Natural or Organic IngredientsIngredients: Organic CashewsNutritions: Calcium(2), Calories(190), Cholesterol(0), Dietaryfiber(7), Fromfat(134), Iron(10), Protein(5), Saturatedfat(3), Servingscontainer(1), Servingsize(1/4 cup), Sodium(0), Sugars(2), Totalcarbs(9), Totalfat(15), Transfat(0.. 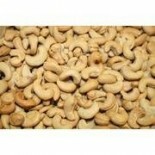 Attributes: Foodservice (Bulk Pack), Natural or Organic IngredientsIngredients: Organic cashews.Nutritions: Calcium(2), Calories(190), Cholesterol(0), Dietaryfiber(7), Fromfat(134), Iron(10), Protein(5), Saturatedfat(3), Servingscontainer(1), Servingsize(1/4 cup (30g)), Sodium(0), Sugars(2), Totalca.. 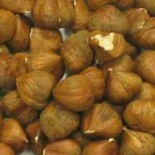 Attributes: Foodservice (Bulk Pack), Natural or Organic IngredientsIngredients: Whole filberts.Nutritions: Calcium(6), Calories(210), Cholesterol(0), Dietaryfiber(3), Fromfat(190), Iron(6), Protein(4), Saturatedfat(1.5), Servingscontainer(N/A), Servingsize(1/4 cup (34)), Sodium(0), Sugars(2), Totalc.. 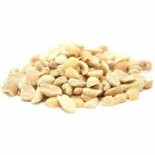 Attributes: Foodservice (Bulk Pack), Natural or Organic IngredientsIngredients: Organic Filberts. May contain occasional shell fragments.Nutritions: Calcium(2), Calories(200), Cholesterol(0), Dietaryfiber(4), Fromfat(160), Iron(6), Protein(4), Saturatedfat(1), Servingscontainer(N/A), Servingsize(.. 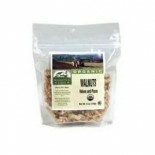 Attributes: Natural or Organic IngredientsIngredients: Raw Macadamia Nuts.Nutritions: Calcium(2), Calories(220), Cholesterol(0), Dietaryfiber(3), Fromfat(210), Iron(6), Protein(2), Saturatedfat(3.5), Servingscontainer(N/A), Servingsize(1/4 cup (30g)), Sodium(5), Sugars(1), Totalcarbs(3), Totalfat(23.. 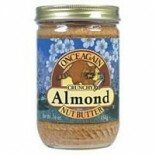 Attributes: Kosher, Natural or Organic IngredientsIngredients: Raw Organic Macadamia NutsNutritions: Calcium(23.8), Calories(201), Cholesterol(0), Dietaryfiber(2.41), Fromfat(191), Iron(1.03), Protein(2.21), Saturatedfat(3.38), Servingscontainer(N/A), Servingsize(28g(1oz)), Sodium(1.4), Sugars(1.28).. Attributes: Foodservice (Bulk Pack), Natural or Organic IngredientsIngredients: Almonds, Brazil nuts, cashews, pecans, organic oleic sunflower oil, salt.Nutritions: Calcium(4), Calories(170), Cholesterol(0), Dietaryfiber(2), Fromfat(140), Iron(4), Protein(4), Saturatedfat(2), Servingscontainer(N/A),.. 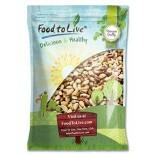 Attributes: Foodservice (Bulk Pack), Natural or Organic IngredientsIngredients: Organic Dry Roasted and blanched Peanuts(for Eating or Butter Stock).Nutritions: Calcium(2), Calories(200), Cholesterol(0), Dietaryfiber(3), Fromfat(145), Iron(4), Protein(8), Saturatedfat(3), Servingscontainer(N/A), Ser.. 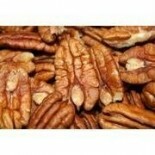 Attributes: Foodservice (Bulk Pack), Kosher, Natural or Organic IngredientsIngredients: organic raw pecan meatsNutritions: Calcium(0), Calories(200), Cholesterol(0), Dietaryfiber(2), Fromfat(180), Iron(0), Protein(3), Saturatedfat(2), Servingscontainer(N/A), Servingsize(1oz (28.4g)), Sodium(0), Suga.. 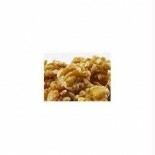 Attributes: Foodservice (Bulk Pack), Natural or Organic IngredientsIngredients: Pecan halves.Nutritions: Calcium(N/A), Calories(667), Cholesterol(0), Dietaryfiber(1.6), Fromfat(N/A), Iron(N/A), Protein(N/A), Saturatedfat(N/A), Servingscontainer(N/A), Servingsize(100 g), Sodium(N/A), Sugars(N/A), Tot.. 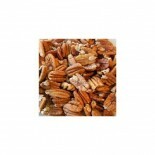 Attributes: Foodservice (Bulk Pack), Natural or Organic IngredientsIngredients: Pecans. Nutritions: Calcium(0), Calories(200), Cholesterol(0), Dietaryfiber(2), Fromfat(180), Iron(0), Protein(2), Saturatedfat(2), Servingscontainer(N/A), Servingsize(1 oz. 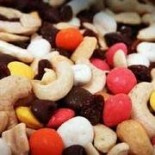 (28.4g)), Sodium(0), Sugars(2), Totalcarbs(4),.. 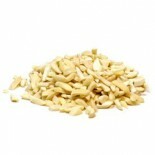 Attributes: Natural or Organic IngredientsIngredients: Organic Pine Nut Kernels.Nutritions: Calcium(.. 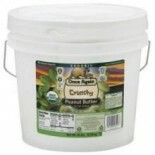 Attributes: Foodservice (Bulk Pack), Natural or Organic IngredientsIngredients: Pinenuts.Nutritions: Calcium(0), Calories(190), Cholesterol(0), Dietaryfiber(4), Fromfat(140), Iron(6), Protein(4), Saturatedfat(4), Servingscontainer(N/A), Servingsize(1/4 cup (30g)), Sodium(0), Sugars(1), Totalcarbs(9).. 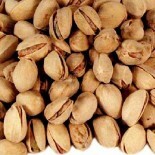 Attributes: Dairy Free, Foodservice (Bulk Pack), Kosher, Low Carb, Low Salt / Low Sodium / Reduced Sodium, Natural or Organic Ingredients, Vegan, Wheat Free, Yeast FreeIngredients: Pistachios Meats Kernels Whole Raw Nutritions: Calcium(N/A), Calories(564), Cholesterol(0), Dietaryfiber(9.9), Fromfat(.. 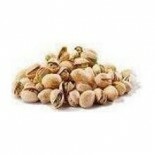 Attributes: Kosher, Natural or Organic IngredientsIngredients: Pistachios.Nutritions: Calcium(4), Calories(170), Cholesterol(0), Dietaryfiber(3), Fromfat(110), Iron(6), Protein(6), Saturatedfat(1.5), Servingscontainer(N/A), Servingsize(1 oz (49 kernels)), Sodium(0), Sugars(2), Totalcarbs(9), Totalfa.. 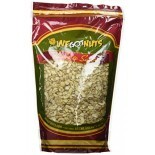 Attributes: Foodservice (Bulk Pack), Kosher, Natural or Organic IngredientsIngredients: Organic pistachios, sea salt.Nutritions: Calcium(4), Calories(170), Cholesterol(0), Dietaryfiber(3), Fromfat(110), Iron(6), Protein(6), Saturatedfat(1.5), Servingscontainer(N/A), Servingsize(1 oz (49 kernels)), S.. Attributes: Natural or Organic IngredientsIngredients: Organic pistachios, sea salt.Nutritions: Calcium(4), Calories(170), Cholesterol(0), Dietaryfiber(3), Fromfat(120), Iron(6), Protein(6), Saturatedfat(1.5), Servingscontainer(N/A), Servingsize(28g (about 50 nuts w/o shell)), Sodium(160), Sugars(3).. 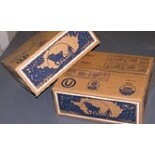 Attributes: Foodservice (Bulk Pack), Kosher, Natural or Organic Ingredients.. 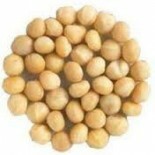 Attributes: Foodservice (Bulk Pack), Natural or Organic IngredientsIngredients: Organic Soybeans, organic sunflower oil, Salt.Nutritions: Calcium(4), Calories(130), Cholesterol(0), Dietaryfiber(2), Fromfat(54), Iron(6), Protein(11), Saturatedfat(1), Servingscontainer(N/A), Servingsize(1/4 cup (28g/1.. 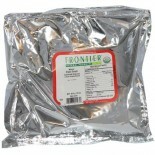 Attributes: Foodservice (Bulk Pack), Kosher, Natural or Organic IngredientsIngredients: WalnutsNutritions: Calcium(2), Calories(210), Cholesterol(0), Dietaryfiber(4), Fromfat(180), Iron(6), Protein(8), Saturatedfat(1), Servingscontainer(N/A), Servingsize(1/4 cup (30g)), Sodium(0), Sugars(0), Totalca.. Attributes: Foodservice (Bulk Pack), Kosher, Natural or Organic IngredientsIngredients: Organic Light Walnut Halves and PiecesNutritions: Calcium(2), Calories(215), Cholesterol(0), Dietaryfiber(3), Fromfat(183), Iron(6), Protein(5), Saturatedfat(1.5), Servingscontainer(N/A), Servingsize(1/4 cup (30g.. Attributes: Kosher, Natural or Organic IngredientsIngredients: Walnuts.Nutritions: Calcium(2), Calories(210), Cholesterol(0), Dietaryfiber(3), Fromfat(180), Iron(6), Protein(5), Saturatedfat(1.5), Servingscontainer(N/A), Servingsize(30g), Sodium(0), Sugars(0), Totalcarbs(3), Totalfat(20), Transfat(0.. Attributes: Foodservice (Bulk Pack), Kosher, Natural or Organic IngredientsIngredients: Walnuts.Nutritions: Calcium(2), Calories(210), Cholesterol(0), Dietaryfiber(3), Fromfat(178), Iron(6), Protein(5), Saturatedfat(2), Servingscontainer(8), Servingsize(1/4 cup (30g)), Sodium(0), Sugars(0), Totalcar.. 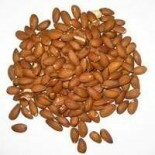 Attributes: Foodservice (Bulk Pack), Kosher, Low Salt / Low Sodium / Reduced Sodium, Natural or Organic Ingredients, Non-GMO Project VerifiedIngredients: Dry roasted almonds. 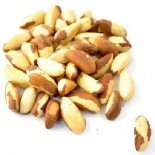 May contain trace amounts of peanuts, tree nuts or sesame seeds.Nutritions: Calcium(8), Calories(180), Cholesterol(0), Dieta.. 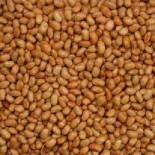 Attributes: Foodservice (Bulk Pack), Kosher, Low Salt / Low Sodium / Reduced Sodium, Natural or Organic Ingredients, Non-GMO Project VerifiedIngredients: Organic unblanched peanuts. 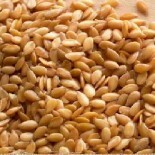 May contain trace amounts of tree nuts and sesame seeds. 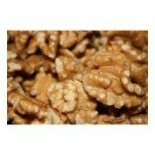 Nutritions: Calcium(0), Calories(180), Cholesterol(0), Dietar.. 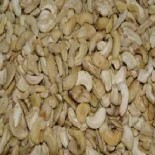 Attributes: Foodservice (Bulk Pack), Kosher, Low Salt / Low Sodium / Reduced Sodium, Natural or Organic Ingredients, Non-GMO Project VerifiedIngredients: Organically grown dry roasted unblanched peanuts.Nutritions: Calcium(0), Calories(180), Cholesterol(0), Dietaryfiber(2), Fromfat(140), Iron(4), Pr.. 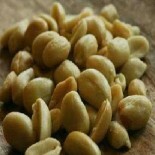 Attributes: Foodservice (Bulk Pack), Kosher, Low Salt / Low Sodium / Reduced Sodium, Natural or Organic Ingredients, Non-GMO Project VerifiedIngredients: Organically grown dry roasted unblanched peanuts.Nutritions: Calcium(0), Calories(180), Cholesterol(0), Dietaryfiber(2), Fromfat(140), Iron(2), Pr.. 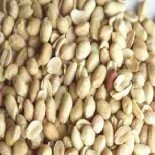 Attributes: Foodservice (Bulk Pack), Kosher, Natural or Organic Ingredients, Non-GMO Project VerifiedIngredients: Mechanically hulled organic sesame seeds. 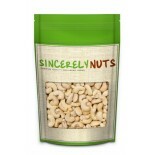 May contain trace amounts of peanuts and tree nuts. 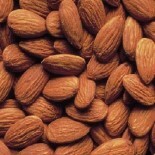 Nutritions: Calcium(4), Calories(180), Cholesterol(0), Dietaryfiber(5), Fromfat(130), Iron(1.. 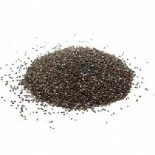 Attributes: Kosher, Natural or Organic IngredientsIngredients: Organic Black Chia Seeds.Nutritions: Calcium(18), Calories(137), Cholesterol(0), Dietaryfiber(11), Fromfat(72), Iron(0), Protein(4), Saturatedfat(1), Servingscontainer(N/A), Servingsize(1oz 28g), Sodium(5), Sugars(0), Totalcarbs(12), Tot.. Attributes: Foodservice (Bulk Pack), Kosher, Natural or Organic IngredientsIngredients: Organic Whole Brown Flax Seed.Nutritions: Calcium(N/A), Calories(534), Cholesterol(0), Dietaryfiber(N/A), Fromfat(N/A), Iron(N/A), Protein(18.3), Saturatedfat(3.7), Servingscontainer(N/A), Servingsize(100g), Sodi.. Attributes: Foodservice (Bulk Pack), Kosher, Natural or Organic IngredientsIngredients: Golden flax seeds.Nutritions: Calcium(N/A), Calories(492), Cholesterol(N/A), Dietaryfiber(27), Fromfat(N/A), Iron(N/A), Protein(20), Saturatedfat(N/A), Servingscontainer(N/A), Servingsize(100g), Sodium(N/A), Suga..